The biggest advantage of Spotted by Locals is that it gives you knowledge of areas and places you’d normally skip or wouldn’t even consider. That is why I became a Spotter – because I love Rotterdam, I like exploring it and I enjoy sharing my knowledge of spots that are overlooked by most people. Spots like the Pijnackerplein square. It’s right in the middle of Oude Noorden, an old working-class neighbourhood quite off the tourist map of Rotterdam. But don’t let that discourage you, because what Oude Noorden lacks in class, it compensates generously for in authenticity. And Pijnackerplein is the beating heart of Oude Noorden. The square, surrounded by characteristic late 19th century buildings, is dominated by the century-old bandstand – a great spot for a picnic. 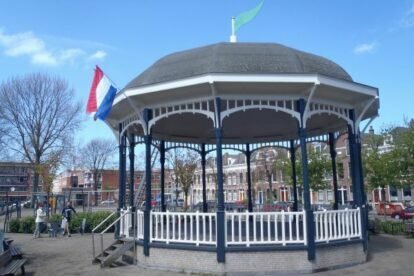 The Pijnackerplein is a great place for uninhibited contact with the locals in their natural habitat at the neighbourhood lunch, to visit a local music festival or have a beer in one of the bars around the square.